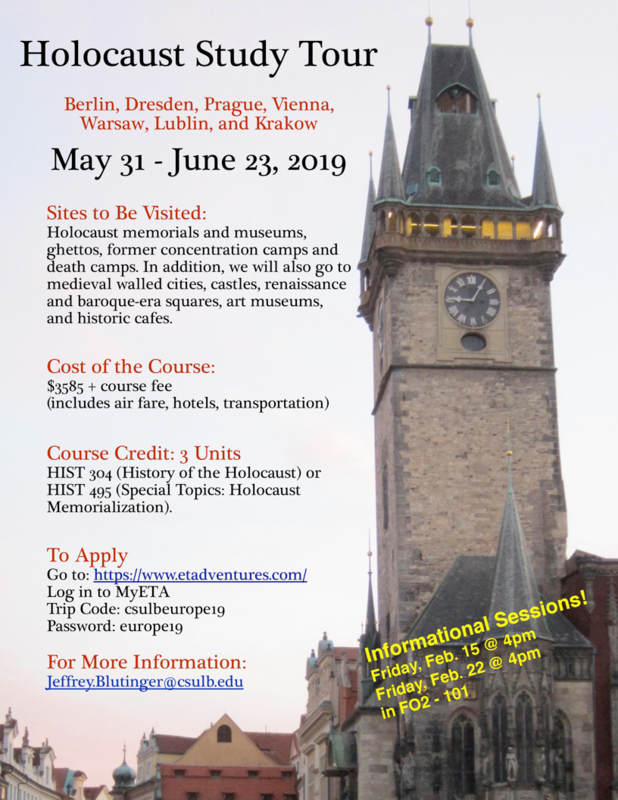 Holocaust memorials and museums, ghettos, former concentration camps and death camps. In addition, we will also go to medieval walled cities, castles, renaissance and baroque-era squares, art museums, and historic cafes. HIST 304 (History of the Holocaust) or HIST 495 (Special Topics: Holocaust Memorialization). Learn how to excavate, or improve your skills. Immerse yourself in the history, cultures, and religions of the region. Learn conservation techniques in the Old City of Akko. Accomplish your intensive writing requirement. 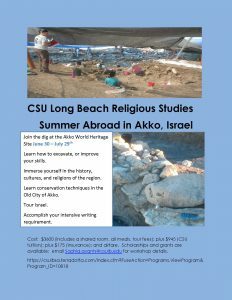 Cost: $3600 (includes a shared room, all meals, tour fees); plus $945 (CSU tuition); plus $175 (insurance); and airfare. 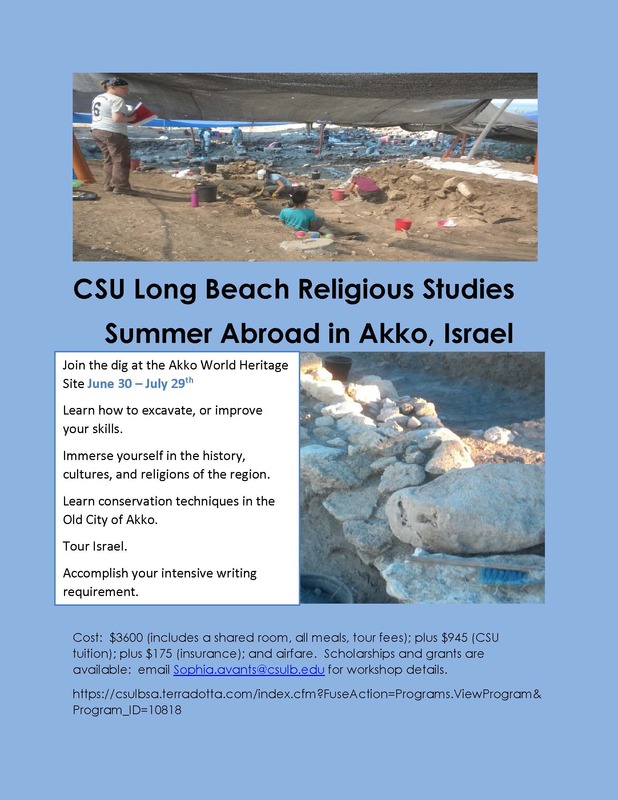 Scholarships and grants are available: email Sophia.avants@csulb.edu for workshop details.